These organizations have made it their mission to help improve access to education for Native American youth: TeachHub, NCAI, AIHEC, AIEF. PWNA staff, board members and volunteers are passionate about supporting our Native American partners’ community-led initiatives to achieve a better quality of life, and proud of our newest ratings to help share our story with the world. American Indian Education Foundation provides scholarships to Native American students. Only some charities are approved to participate in the CFC (Combined Federal Campaign). Learn about Native American artist Jana Mashonee and “American Indian Christmas,” her NAMMY award-winning CD with 10 Christmas songs sung in different Native languages. Jana generously allowed us to use her music in our holiday video and giving projects. National Relief Charities is proud to be a premier sponsor at the National Powwow this year. National Relief Charities sends a holiday stocking to each of the AIEF scholars and their children under 10 years old each holiday season to help them feel connected while at college. 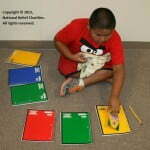 The Bureau of Indian Education (BIE) will take a hard hit due to sequestration, impacting the Native American communities.